﻿ See How Botox Can Help Elevate Your Mood! See How Botox Can Help Elevate Your Mood! 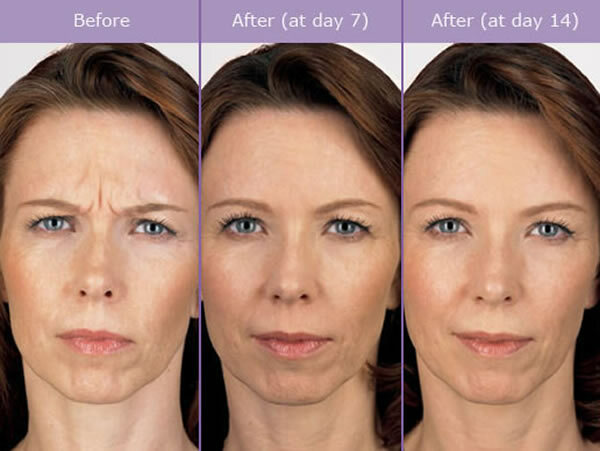 Did you know that a 5-minute Botox treatment for Frown Lines may affect your mood…in a good way! In addition to it’s well known anti-aging cosmetic properties, several studies including a recent randomized, double-blind study from the University of Texas Southwestern, Austin by Dr. Magid and Dr. Reichenberg shows that Botox may have anti-depressive qualities when treating frown lines and therefore help elevate one’s mood. There are several proposed reasons for the above. In 2009, the Journal of Cosmetic Dermatology published a study by Dr. Patrick Bowler and Dr. Michael Lewis illustrating that the paralysis of certain muscles of the face leads to less facial feedback for negative emotions. Essentially, the same reason smiling leads to an elevated mood, frowning leads to an unhappy mood. Therefore, if we eliminate frowning via Botox, we may be able to affect our mood in a positive way. In addition, the authors of the recent study from the University of Texas believe that when people perceive us to look less upset or angry, people will engage with us more. This social engagement with others helps to improve our self-esteem and our mood. Dermatologist, Dr. Finzi, in his book “The Face of Emotion: How Botox Affects our Mood and Relationships” reveals that in 50% of cases Botox can help improve both mood and relationships. Now I would not advocate using Botox as a sole treatment to elevate your mood or treat depression, but if you are getting your frown lines treated for cosmetic reasons….consider this a potential added benefit!